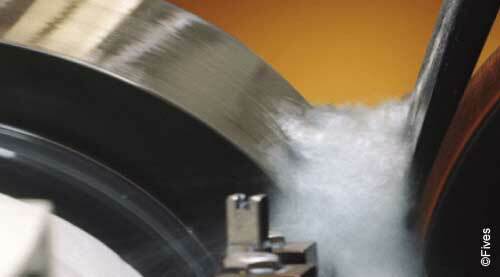 Maximize your centerless grinding productivity with Fives using Gardner centerless abrasive grinding wheels. Fives’ engineers apply years of experience and state-of-the-art tools to maximize the performance of each centerless application. Fives’ engineering experts analyze the machine, part and process parameters to develop Gardner abrasive grinding and regulating wheel specifications that will optimize productivity. Application Engineers then work with operators in fine-tuning the wheels to maximize uptime. 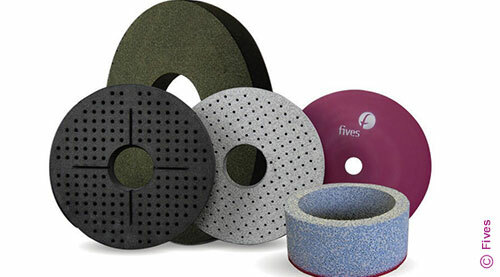 Fives takes great pride in making sure that each wheel is ultimate. Every Gardner abrasive grinding wheel is expertly analyzed and inspected with precision balancing and speed tests before shipment. Let Fives help you formulate the proper wheel specifications for a Centerless Grinding Operation.